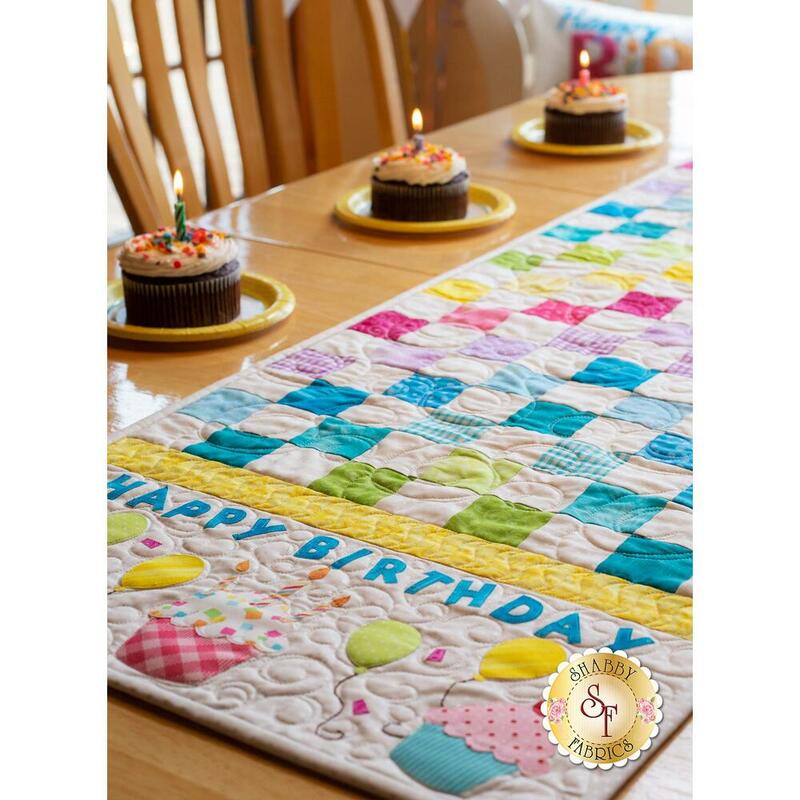 Celebrate a birthday with this colorful table runner! 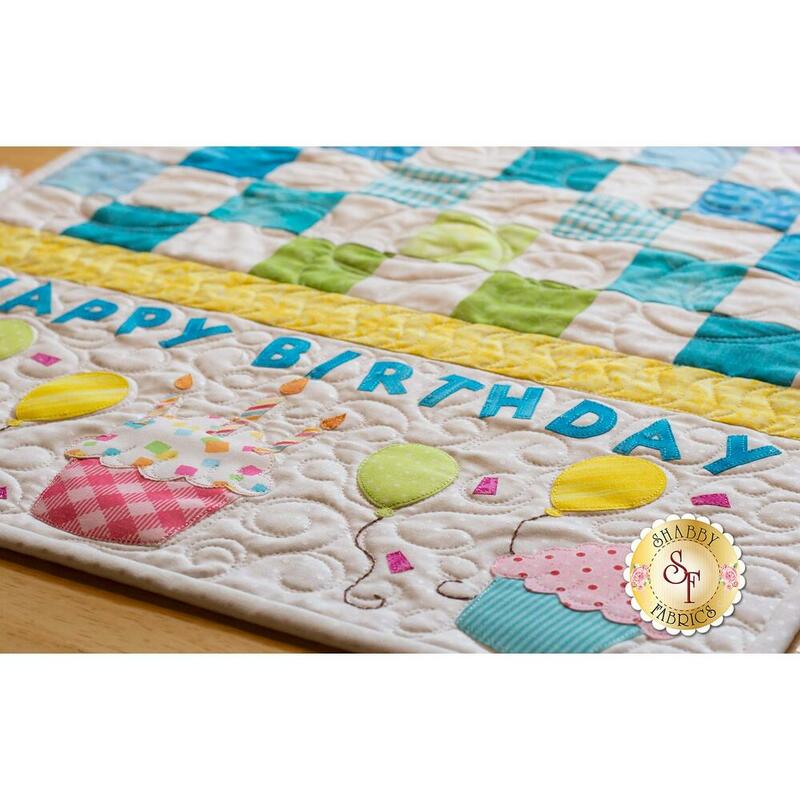 Patchwork makes up the center of this runner, with each end featuring pre-fused and pre-cut applique pieces. 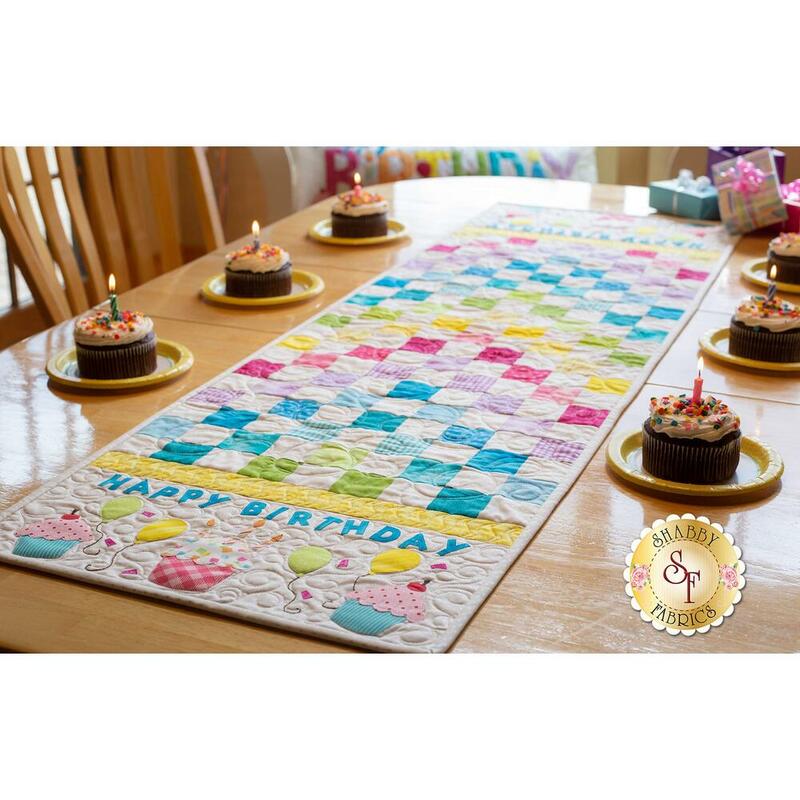 Runner finishes to 18 1/2" x 57 1/2" (but can be shortened to fit your table). Kit includes pattern, all top fabrics, embroidery floss, binding, and backing. 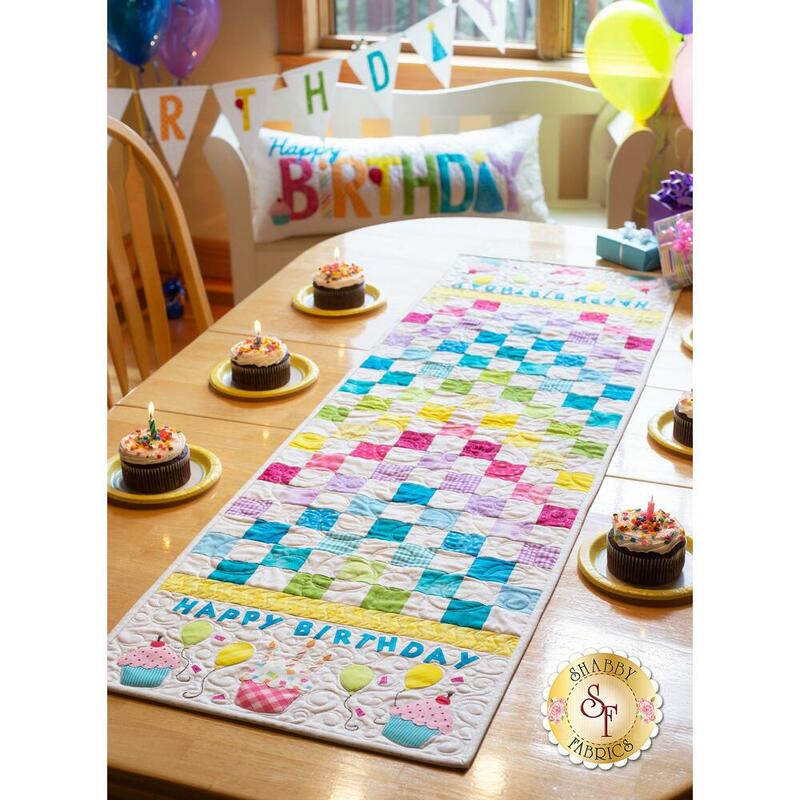 Cupcake Placemats Kit, Cupcake Wall Hanging Kit, Happy Birthday Wall Hanging Kit, Happy Birthday Pennant Banner Kit, and Happy Birthday Pillow Kit! The applique pieces on either end of the runner are laser cut and backed with Heat N Bond Lite to make this project quick and easy! All you have to do is peel off the paper, place, iron, and stitch down. Add the Olfa 45mm Rotary Cutter below for precision cutting and add the FriXion Pen for marking your embroidery.